Delivering pickles to put on the Christmas trees for good luck. Lots of beautiful work shown in these photos! Magnificent, Hakan! A great gift to share. Merry Christmas! On the Pickle reefer I'm not sure I have it correct with the white ends. I have seen models with green ends so I'm thinking of repainting the ends? If anyone can shed some light on this I would be grateful. The model itself was stated in the auction to be made by Tenshodo and after some Google search I read that it was made to scale 1/80. But it still is quite a small locomotive. 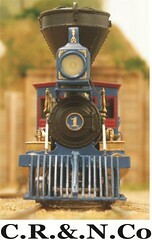 See the comparison photo between the loco and a American 4-4-0 model below. Well to try to tell a long story short I have been thinking on Americanizing such a loco for some time now. I.e. that my railroad management has imported a English locomotive as a test. The Railroads president at the time Smith-Kingsley is an Englishman so it would seem plausible. I have not read that US imported any locomotives at all except for in the really early days?? 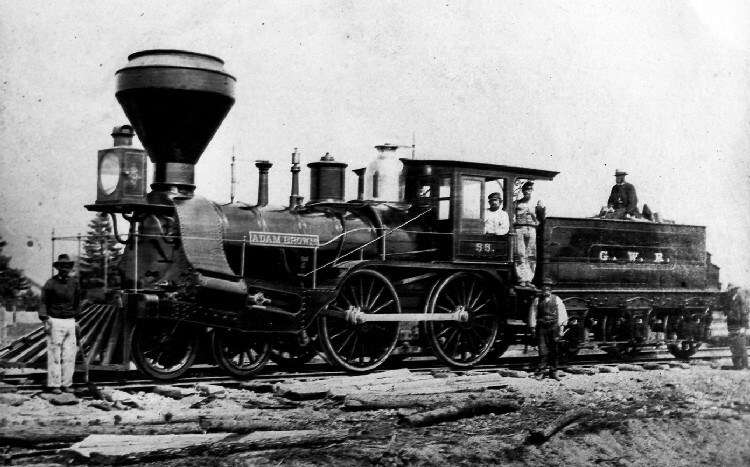 I once saw a picture of a Canadian locomotive of English descent heavily "Americanized" from the 1850s. Anyway this is the (crazy) idea . 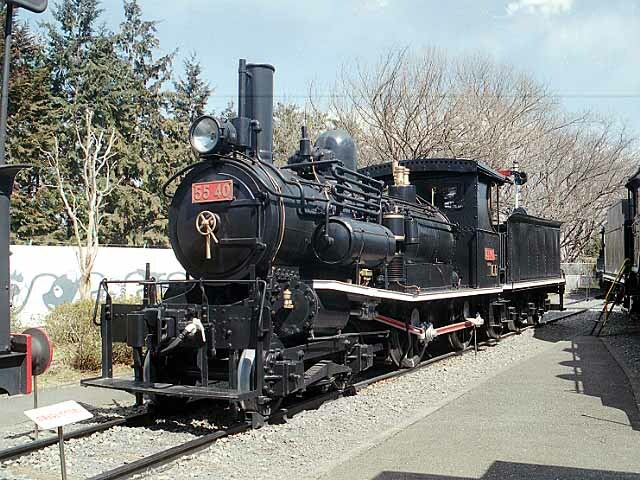 I have seen pictures of American locomotives imported to for example Norway and Finland in 1870-1900, see links below, and "Europeanized" with buffers etc. I thought it would be fun to make it the other way around. 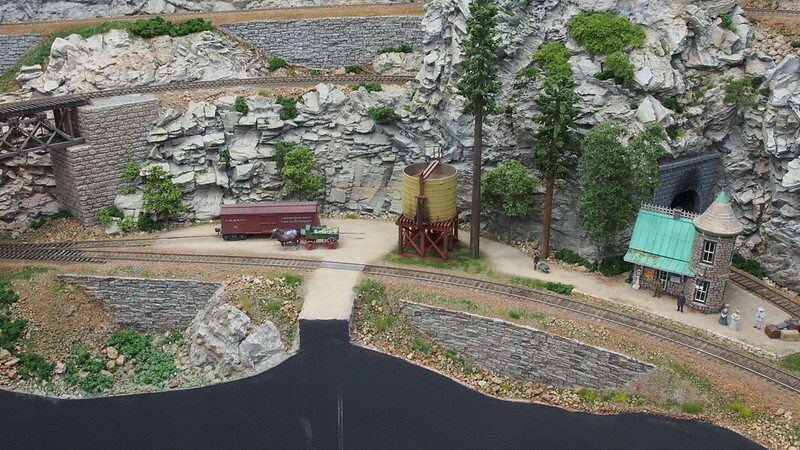 The problem has been that anything that has seemed suitable was made to OO scale and way to large for the layout. This model could be used but as it is quite nice I'm now very reluctant to modify it. I have to ponder it over Xmas . It doesn't look quite American or quite British. My inclination would be to leave it alone. Congratulations on your purchase. Neat model. Thank you Mike, I agree I won't do anything on the model except cleaning it and do some touch up. It runs quite nicely with its original motor so I'll try mounting a decoder so I can run it on the big layout. It certainly did not break the bank when purchasing as I got it quite cheaply but it still doesn't feel right to cut it up. I'm still intrigued to do a British import "Americanized" but I have to put it on ice for the time being. 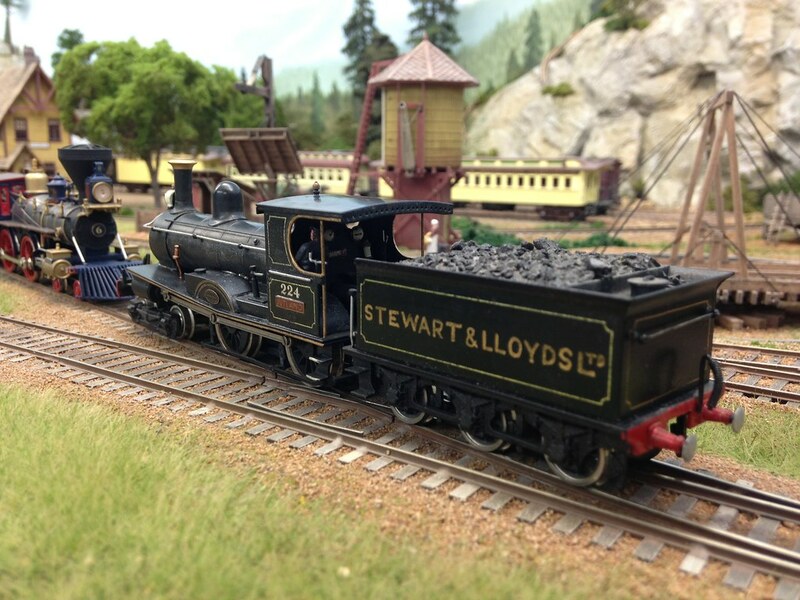 I can think of one British-made loco that was imported for use over here. 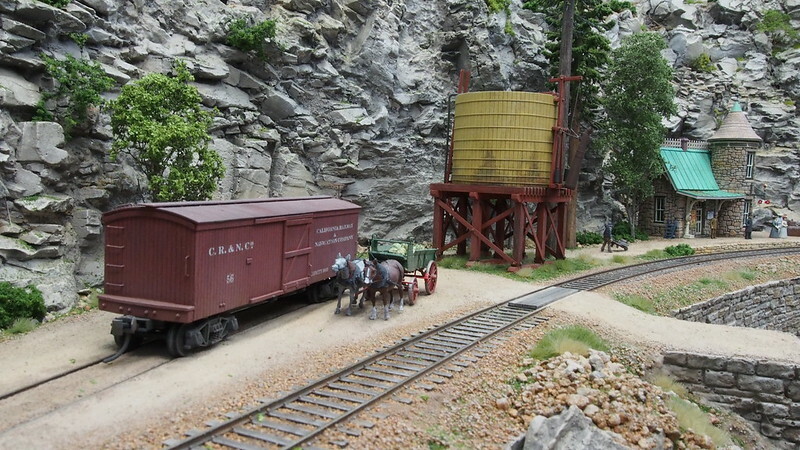 It was a double-Faerlie 0-4-4-0 named "Mountaineer" ordered by the Denver & Rio Grande in 1872. 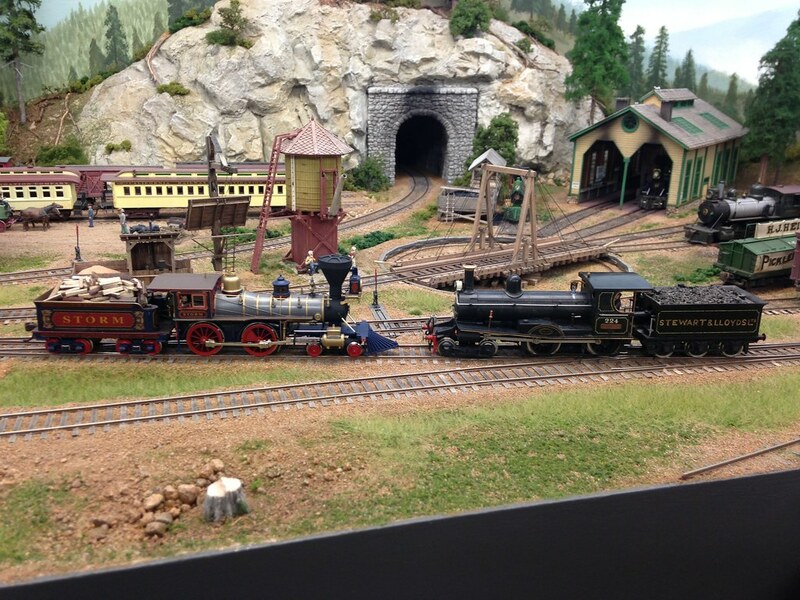 Nice railroad, really beautiful scenery! 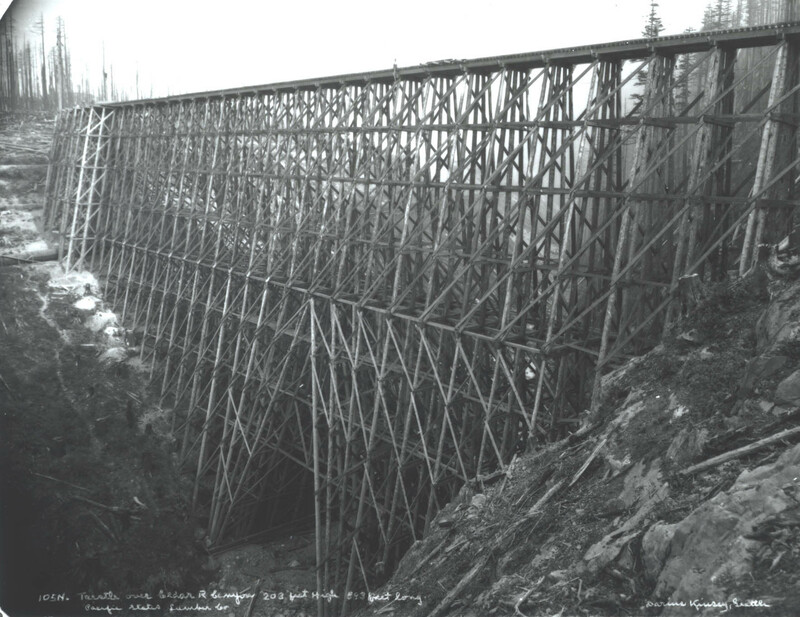 That trestle in the most recent pics is interesting. I don't think I've ever seen one with canted bents in the middle like that. 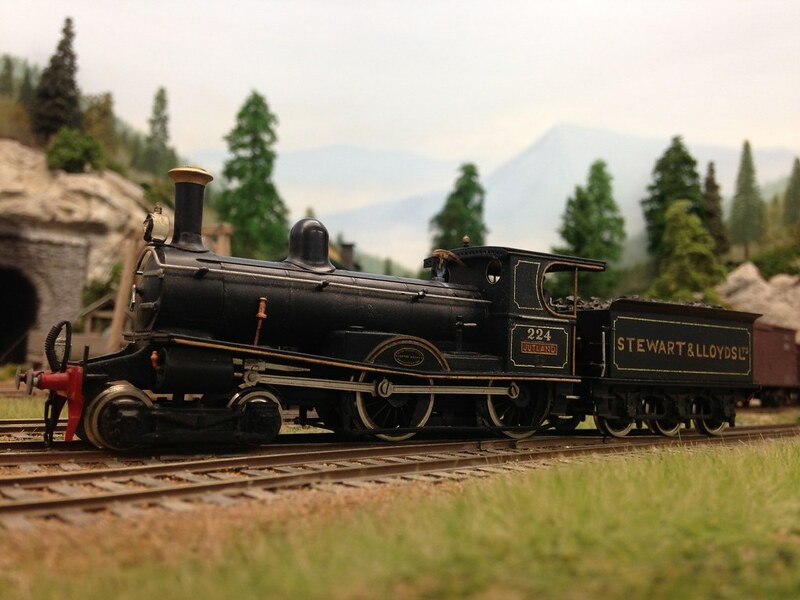 It is not used in the same configuration as on my layout as my trestle is quite small. The idea was to keep the bottom of the legs out of the water. Just say it's on a good will visit. As this thread shows the progress on the layout I thought I show what has been done to it under the 2015 challenge. 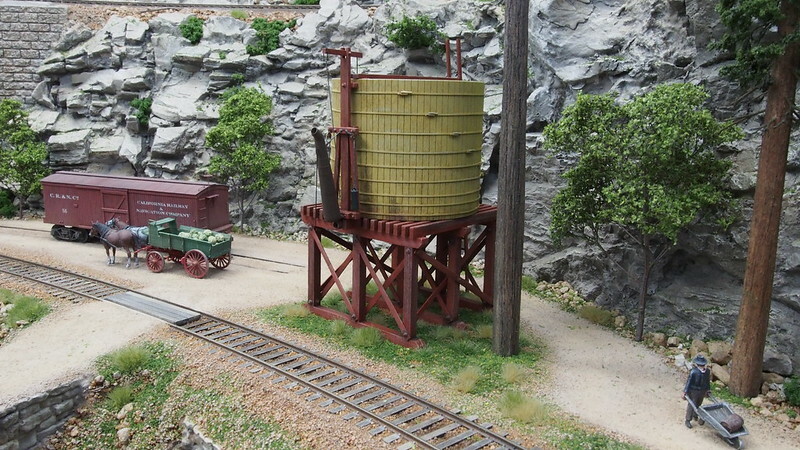 This weekend there has been some progress for me and I have finished the area around the water tank and station. Well it can be detailed some more but for the time being it has to suffice as I need to move to new fronts on the layout. Pictures are merciless and I saw that on the stonewall at the right there are some air bubbles from the casting I must fix. A note to myself is to take photos of the finished areas to see if there is something wrong or missing. It is sometimes hard to get the head in to see areas but a camera can so why not use it as a working tool when making scenery . OH WOW! I like it H�kan. That is a sharp scene. Well done. You also reminded me me that I neglected to provide a tower at Beaver Hill Jct. I do in fact.that's a good idea.